One of the best things about Winter and hiding away in big jumpers and coats is that you can fully embrace the finer things in life without worrying about the need to squeeze into unforgiving Summer clothes. Yes I'm talking about proper Winter Warmers, good old fashioned stodge that makes your insides feel happy and gives you the perfect excuse for an afternoon nana nap. My favourites are definitely fruity puddings with custard, Sunday Roasts and huge pies. 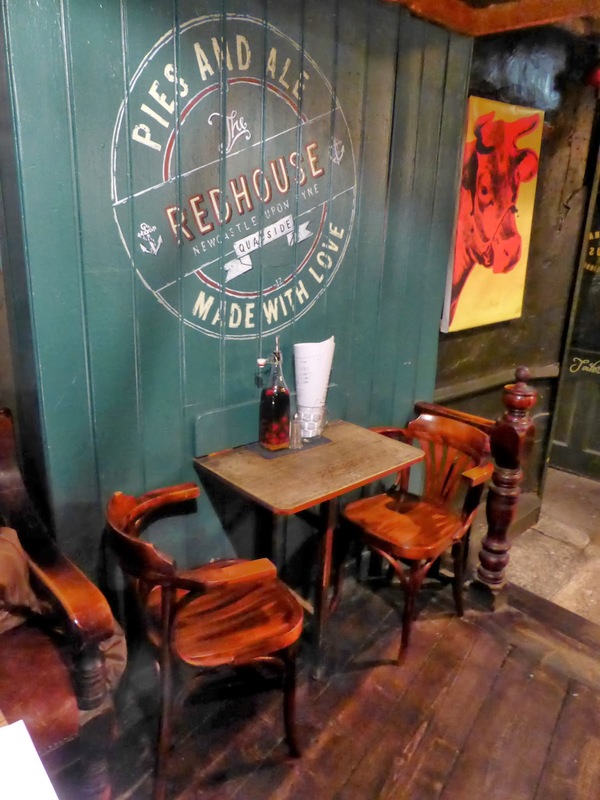 RedHouse on the Quayside in Newcastle is the perfect place to hide from the cold. Someone recently described it to me as "Hogwarts" and I'd have to agree - it's very cosy and the cobblestone floor is dimly lit by roaring fires and twinkling fairy lights, it wouldn't be out of place on Diagon Alley. Adding to it's charm is the web of little rooms all linked together by little doors and passageways. If it's Pie, Mash and Liquor that you want then this is the place to come. The food is very reasonably priced and is absolutely gorgeous. The pies have delicious hand made thick, buttery pastry and are very generously filled with the finest meats from Northumberland. There are seven pies to choose from, including vegetarian options and then you match your pie with the mash, peas and liquor of your choice. 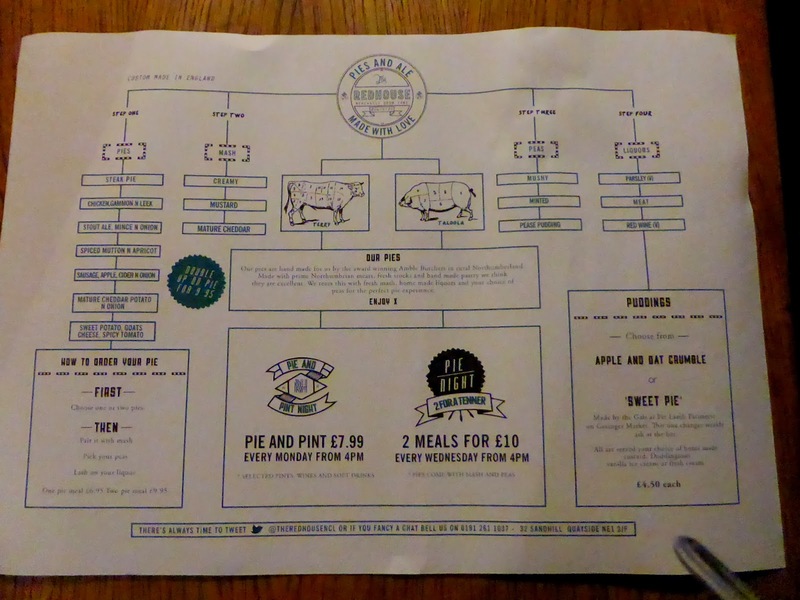 For those wanting to make their pie a truly Geordie experience there's the option of adding pease pudding I've tried two different combinations so far and at the moment my favourite is the sausage, apple, cider and onion pie with mushy peas, cheesy mash and meat liquor. My only regret is that so far I've always been too full to try a dessert!